Norman graduated from the University of Melbourne Medical School in 1940. He was on staff at the Royal Children’s Hospital Melbourne from 1943, when illness caused his early discharge from the Navy, until 1980. He continued to see patients at his rooms for a further decade. By 1962, he had converted one of his paediatric clinics into a de facto endocrine clinic. The Hospital recognized his expertise and appointed him in 1972 as the Head of the newly created Endocrine Clinic. Thus he was one of the fathers of Australian paediatric endocrinology. A highlight of his career was the time he spent learning with the founder of our specialty, Lawson Wilkins, at the Johns Hopkins University in Baltimore in 1956. He was only the second doctor in Australia to prescribe pituitary growth hormone and served for a number of years on the Human Pituitary Advisory Committee. In the year of his retirement from RCH (1980), Norman stimulated the rest of us to establish the Australasian Paediatric Endocrine Group (APEG) and he was very proud to see it develop into a thriving organization with an international profile. He established a tradition at APEG meetings of devoting one afternoon to a non-medical activity, often a birding expedition. He was heavily involved in Birds Australia. A generous man of prodigious energy, his other interests included art collecting and philanthropy. Norman made an enormous contribution to medicine, to RCH Melbourne, to our specialty and to APEG. He was made APEG’s first Life Member in 1992. He died in 2000. Bob Vines graduated with Honours from the University of Sydney in 1943 and enlisted in the Royal Australian Army Medical Corps (1944 – 1947), serving in Bougainville. After training at Great Ormond Hospital for Children, London, he practiced as a Consultant Physician at Royal Alexandra Hospital for Children, Sydney from 1952 to 1986. In 1965 he worked in Baltimore with Dr Lawson Wilkins. Bob was one of the fathers of Paediatric Endocrinology in Australia, being instrumental in establishing the Australian Human Pituitary Program with the first child being treated with extracted growth hormone in 1963. He was Chairman of the Human Pituitary Advisory Committee for 7 years. He was co-author of a very successful manual for diabetes management. He was the first President of APEG. Bob was a caring and gifted clinician, with an encyclopedic knowledge of medicine He was very supportive of the psychological needs of the children and their families. He was particularly good with teenagers, especially girls who looked upon him as a father figure and kept writing to him for years after they had left the Children’s Hospital. His many other pursuits included learning foreign languages, sailing in small skiffs, cross-country skiing (taken up at age 38) and bushwalking, all of which he did with great enthusiasm until forced to stop by illness. A literary man of impeccable integrity, he is best remembered as a quiet achiever who never sought the limelight, but who had an enormous influence on paediatric endocrinology in Australia. He died in 1986. Jim Penfold established the Department of Endocrinology at Adelaide Children’s Hospital in 1972 after returning from Canada. He was one of the founding members of APEG and was a collaborator in APEG’s early multi-centre trials. From 1985 he served on the Growth Hormone Advisory Committee and as one of its longest serving members, was Chairman from 1996 to 1997. He was Honorary APEG Treasurer from 1991 to 1993. Jim was the consummate clinician: thoughtful, considered and always putting the child’s interests first. He was widely competent in all areas of paediatrics and this showed in his practice. Those continuing the care of his patients have had the privilege of seeing how much he was admired by them, because Jim’s modest, understated nature would never let others know this. As a colleague and mentor, he was patient and generous of his time and experience. When Jim retired in 2002, his talents outside medicine guided him into retirement more easily than most. He is a skilled fisherman who used to carry a collapsible rod in his luggage to conferences. It was rumoured that the location of his outreach clinics may have been influenced by local fishing opportunities. He is also an accomplished athlete. He was National Shot Put Champion in 1959, and is a medal holder in shot put and rowing at the Masters Olympics. To the delight of his grandchildren, he carried the Olympic Torch in 2000 before the Sydney Olympics. Jim was awarded Life Membership of APEG in 2006. 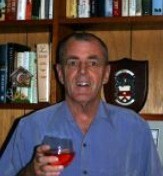 Geoff Byrne was the Director of the Diabetes and Endocrine Unit at Princess Margaret Hospital, Perth from 1987 to 1999. He started outreach clinics in Bunbury, Rockingham, Wagin, Albany, Geraldton, Northam, Kalgoorlie and Esperance. A Foundation Member of APEG, his contributions to our Group have been many and varied. He served as Councillor, Secretary and then President. Geoff was a member of the Growth Hormone Advisory Council for many years, the last 2 as Chairman. He was instrumental in changing the GHAC from a closed group, with membership by invitation only, to the present open arrangement where the most senior member resigns each 2 years and a replacement is appointed by APEG Council from members who apply to join. Always the enthusiastic innovator, Geoff was responsible for the establishment of the State childhood diabetes database in Western Australia and was heavily involved from the outset in APEG’s moves towards a National Database. He was a keen contributor to APEG’s early and successful multicentre clinical trials. Two APEG meetings in Perth were great successes, largely due the organisational skills of our ex-President. In APEG’s early days, it seemed that almost all members were avid bird-watchers and lovers of the outdoors. Geoff was no exception. He is also an astute collector of antique and first edition books and a skilled furniture maker. He and Ruth are now enjoying a well-earned retirement, following their love of botany and birds and their many other non-medical interests around rural Western Australia together. Few have contributed as much to the success of APEG as Geoff Byrne. He was awarded Life Membership of APEG in 2006. 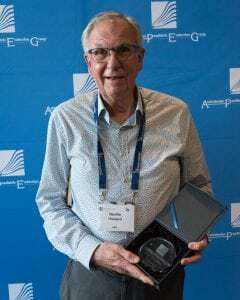 Dr Mike Thomsett was awarded honorary life membership to APEG in November 2009 in recognition of his long, whole-hearted and consistent service to the society. Mike graduated with Honours at University of Queensland in 1967, winning both the Paediatric and Obstetrics and Gynaecology prizes. While an undergraduate he married his wife Judy, who was to attend many APEG meetings. He represented the University in cricket and baseball. Having been a bonded student, Mike was posted after graduation to one-doctor towns in rural Queensland for five years. In that role he learnt what has stayed with him throughout his career, that people in regional areas need support and advice, and that travelling to the big smoke is not necessarily the best thing for a family. After completion of the bond Mike trained in Paediatrics at Royal Children’s Hospital, Brisbane. He pursued his dream to be a Paediatric Endocrinologist. He did it tough and without a great deal of support, working first in Adelaide in adult endocrinology in 1977 and then self-funded as a Fellow at the University of California San Francisco under guidance of Professor Grumbach in 1978-79. He published his first major paper there on Craniopharyngioma. Returning to Brisbane in 1980 he grafted the sub-speciality of Paediatric Endocrinology out of nothing. He started a private practice in both paediatric and adult endocrinology, gradually gaining hospital endocrine sessions, first at Mater Children’s Hospital with Geoff Bourke, then seeing adults at Princess Alexandra Hospital, and finally at Royal Children’s Hospital. The practice grew and became very busy and after 10 years Mike was finally able to stop seeing adults. His down to earth practical advice encouraged paediatricians in their own practices and this allowed the decentralised approach of Paediatric Endocrinology to be established in Queensland, much to the benefit of families living in rural and remote communities. He also performed outreach clinics in Darwin for many years. 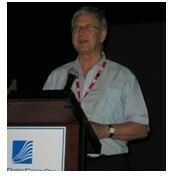 Mike retired from hospital practice in 2004 and from his private practice in 2007, just after presenting at the 25th anniversary ASM in Broome a summary of the 9062 referrals he saw – a study since published. In retirement, Mike and Judy have at last had time to enjoy together their interests of golf, bushwalking, birdwatching, photography, gardening, growing orchids and travel. Mike’ enthusiastic involvement in our society extended back to its very beginning and his contributions to its success were many. He was present at the famous meeting in Fitzroy Gardens, Melbourne in 1980 when Norman Wettenhall mooted the establishment of APEG. 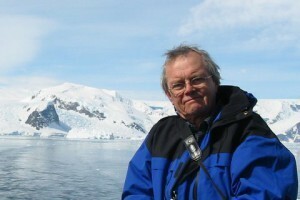 As a Founding Member, Mike presented at the first Scientific Meeting at Leura in 1982 and at many subsequent meetings. He was an avid contributor to APEG’s three early collaborative studies and to OZGROW. In 1995 he performed a major OZGROW review of the effect of hGH in children with dysmorphic syndromes, from which several APEG papers resulted. At a time when he was busy doing 10 clinics a week, Mike was Treasurer from 1988 to 1991, Secretary from 1991 to 1993 (during which time APEG was incorporated and the Constitution was drawn up) and President from 1993 to 1995. He served as a long-standing member of the GHAC and the OZGROW Subcommittee and was instrumental in setting up the National Diabetes Database to amalgamate the separate databases established by Geoff Byrne in Perth and Neville Howard in Sydney. He organised the Clinical Weekend at Kooralbyn in 1986 and Annual Scientific Meetings at Twin Waters in 1994, Coolum in 1999 and Darwin – Kakadu in 2002 (with Charles Kilburn of Darwin). Together with Garry Warne, Mike wrote a History of APEG in 2005. In 2006 he was awarded the inaugural Robert Vines Medal for Clinical Excellence. 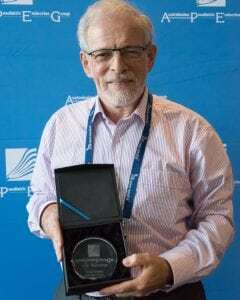 It is fitting that it was at Coolum, the site of one of his many contributions to APEG, that his well-deserved honorary life membership was awarded in 2009. Garry studied Medicine at Melbourne University, and soon arrived at RCH as a JRMO after a brief dabble into adult endocrinology. He trained in paed endo in Winnipeg with Jeremy Winter. Jeremy Winter had a significant influence on Garry, as he recalls that at the end of his fellowship with Jeremy Winter, he said, “Don’t be afraid to blow your own trumpet because no one else will blow it for you”. Garry returned to RCH as Assistant Endocrinologist in 1977, taking over the service from Norman Wettenhall in 1980, when Norman retired. Garry began to build the Department at RCH that we recognise today. From the beginning clinical care was of course paramount, but Garry very quickly recognized the critical role of research – relevant research, well before the concept of “Bench to clinic” or clinic to bench. For this is what he did. It was clinical problems, in his case mostly in the intersex area, and decided to manage them in the broadest possible way. Firstly he provided the clinical service, then he established the research infrastructure to investigate the problem, initially focused on Androgen insensitivity – so he set up fibroblast androgen receptor assays. Garry also saw the need to involve allied health people – social workers and others to help support the affected families. Importantly he thought even more broadly, establishing parent support groups, which thrived in intersex, growth, Turner, CAH, Prader-Willi syndrome (in which he established the first clinics). He realized that parents and health professionals needed literature to help them understand the difficult and complex issues affecting their children. His AIS and CAH booklets are used internationally, having been translated into many languages. The 1980s were highly productive years at RCH, with a number of highly talented fellows joining the team. The word had got around that Garry Warne ran a superb outfit. And here it was again – training young fellows by example that medicine is not just about treating patients in the classical sense. Garry set the example of teaching at all levels, post-graduate, undergraduate, health professional, community and families. This was a part of what was inculcated into the fellows and still is. He taught them that research is an intrinsic part of what we do – for good reason, to answer clinical questions, to come up with new approaches, through the lab and the clinic and the community. And he taught them about wide collaboration, not being afraid to seek advice from others, both locally and internationally, and to advocate for families and children where it is needed – even if it may be painful. In the mid 80’s Garry organized the first Departmental review – one of the first ever at RCH, with three external reviewers. It was initiated because the department was growing so fast we needed more space. The outcome was highly positive, to the extent that the CEO at the time accused Garry of “rigging” it. He clearly did not know Garry – nothing could be further from the truth – the Department he led really was that good. In that same period Garry oversaw radical changes in the growth hormone guidelines, when synthetic GH serendipitously became available when Creutzfeld-Jacob disease struck. This was a difficult national issue, and Garry’s leadership and people skills served him and us well. In the early 1990s Garry looked to Asia for the first time, setting up an Asean Paediatric Endocrine Fellowship with Novo Nordisk – a fellowship, no longer limited to Asia, which still exists today. Garry’s humanitarian passion led him to Cambodia and subsequently Vietnam, establishing in 1998 CHAPHA, renamed RCHI, and then funded largely by Chuck Feeney (Atlantic Philanthropies). In 2011 the Indian Society for the Paediatric and Adolescent Endocrinology made him an Honorary Life Member. 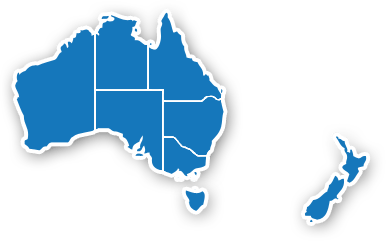 Garry’s most recent major project has been to attempt to set in place a framework for dealing with Disorders of Sexual Development (Intersex) in Australia in a manner which as far as possible avoids the need for the court to be involved, as has unfortunately begun to happen following a Queensland case. Garry, once again thinking laterally, has put in a place a structured ethical approach involving review by a specially constituted internal ethics committee. He presented these ideas at 5th World Congress of Family Law and Children’s Rights (which endorsed our set of principles by a vote of the congress in the closing session) and in New York at the Joint Meeting of LWPES and ESPE. This has been put in place at RCH, and is a work-in-progress, once again in very good hands following Garry’s departure. Garry was awarded hi life membership in 2007. Neville Howard is a foundation member of APEG, past councillor, life member, and winner of the Robert Vines Medal For Clinical Excellence in 2012. His career spans four decades, two continents, and two Children’s Hospitals in Sydney. He graduated from the University of Adelaide and trained in paediatrics in Adelaide and Toronto. He won a Research Fellowship at the Hospital for Sick Children in Toronto followed by a Staff Specialist appointment there. Returning to Australia he worked in Sydney at Prince of Wales Children’s (now Sydney Children’s Hospital) and Children’s Hospital at Camperdown (now Westmead). He has made significant contributions in many areas of clinical endocrinology, with over 90 publications. Neville’s lasting legacy is his advocacy for improved outcomes for children with diabetes. He has served on the board of Diabetes Australia, New South Wales for 26 years (president for 12 years) and on the medical panel of the Juvenile Diabetes Foundation of Australia. Above all, Neville is a very patient-centred clinician who always puts his patients first. He has an amazing memory for the details of families and huge experience of rare disorders that he willingly shares with colleagues and trainees. Neville was awarded his life membership in 2017. George Werther graduated in Medicine from the University of Melbourne in 1971, and soon entered paediatric training at the Royal Children’s Hospital in Melbourne. He then spent time training in paediatric endocrinology and diabetes in Oxford, UK and Cincinnati and Stanford in the USA. He returned to Australia in 1983 to join Garry Warne, Norman Wettenhall and John Court in setting up the Department of Endocrinology and Diabetes at the Royal Children’s Hospital. He developed a laboratory-based research program based on diabetes and growth, which over 30 years provided insights into growth disturbance in diabetes, and the role of growth factors in the developing and injured brain and skin. His work in skin using “antisense” provided the basis for a biotech company, via a potential new therapy for the skin disease psoriasis, and more recently his work suggested new potential cancer therapies via manipulation of growth factors. George led early trials of growth hormone in short children with a variety of disorders, and also served as Chair of the Australian Growth Hormone Advisory Committee, where Australia led the way internationally for growth hormone therapy in short children who were not growth-hormone deficient. He was also involved in clinical and laboratory studies examining novel methods of growth regulation in children, including a landmark study following up tall girls treated with oestrogen in the 1960s-80s. This study, published in the Lancet, showed that such therapy had adverse effects on fertility, and led to an international change of practice, whereby such therapies were no longer used. 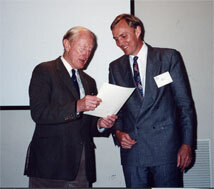 During the 1990s George led the establishment of the Centre for Hormone Research at RCH and the Murdoch Children’s Research Institute, in recognition of the strong endocrine research consortium comprising the groups of Garry Warne, Andrew Sinclair and George, covering a broad spectrum of laboratory and clinical research in paediatric endocrinology. A common purpose of the groups in the Centre, which remains today, was a focus on “translational” research, namely that research directions were informed by clinical issues, and where possible, research outcomes are applied to those clinical needs. In 1999, George took over the directorship of the Department at RCH from Garry Warne, and he remained head for some 16 years. During his tenure George maintained the principle that research played a critical role in support of both clinical practice and training in paediatric endocrinology. In 2015 he stood down as director, and Matt Sabin took over. George has served on various national and international scientific committees, including the APEG Presidency, and more recently on the Endocrine Specialist Advisory Committee of the Royal Australasian College of Physicians, overseeing training qualifications in Paediatric Endocrinology. George has always had a keen interest in training of young paediatric endocrinologists, and has trained many fellows, who have become established paediatric endocrinologists in Australia and overseas. This includes some six professors. He was humbled by his being awarded the Wettenhall Medal by APEG in 2009 for his achievements in research and innovation, and more recently the International Award of the European Society for Paediatric Endocrinology, for scientific achievement in paediatric endocrinology. George’s other passion outside medicine is theatre both acting and directing, with a particular interest in theatrical representations of science and scientists. Following his retirement in 2019 he looks forward to spending more time with his wife Mary, children and grand-children, as well as in theatre and travel – especially visiting his son and family in California. George was awarded his life membership in 2017.